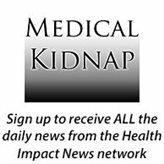 Headlines in the corporate-sponsored "mainstream" media this past week warned the public about a new "mysterious infection" that is drug-resistant. As a recent NY Times Health Section article reported, there is allegedly a hospital cover-up of an emerging candida fungus, Candida or C. auris. It is the latest antimicrobial drug-resistant "super-bug" to emerge in hospitals and nursing homes. This time it's not about bacteria, it's a virulent form of candida. And while the corporate media, sponsored in a large degree by Big Pharma, will almost never report on natural solutions, there is hope for fighting fungal infections like Candida where drugs have failed. One of the most beneficial natural products that fights and kills strains of Candida, according to peer-reviewed research over the past several years, is coconut oil. Research outside of the United States continues to show what the world is investigating and learning about coconut oil, while such information is censored in the U.S. corporate "mainstream" media since coconut oil presents a threat to Big Food and Big Pharma's financial interests. 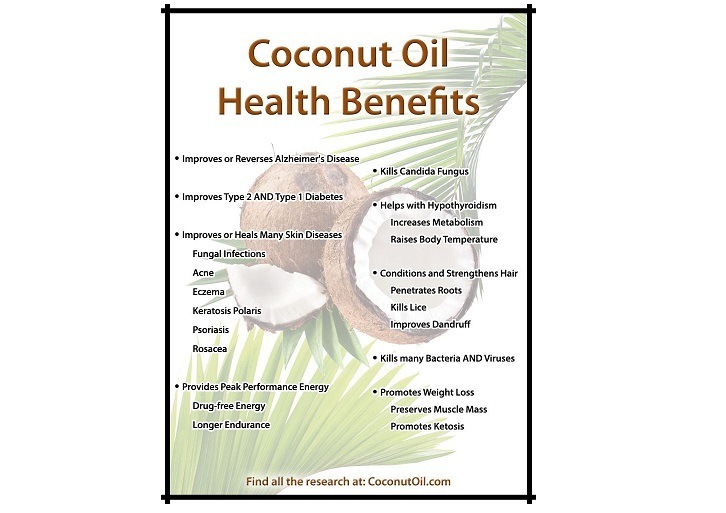 Recent studies confirm that coconut oil protects the heart, and also potentially protects other vital organs including the liver and kidneys of those suffering from diabetes. 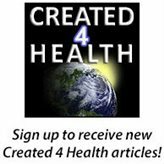 This research contradicts the propaganda against coconut oil by American organizations such as the American Heart Association which still promote the now failed theory of heart disease that blames saturated fats and cholesterol as causative factors in heart disease. As has been reported numerous times here at Health Impact News for the past 6 years or so, the pharmaceutical industry has been desperate to find an Alzheimer's drug to market to an aging baby boomer population with ever increasing numbers of Alzheimer's Disease cases. And yet, billions of dollars have been invested in potential drugs only to see these drugs never make it out of the trial phase and come to market, because they do not significantly help Alzheimer's patients. Biogen and their partner Eisai are the latest pharmaceutical companies to throw in the towel regarding their Alzheimer's drug aducanumab, which has failed to make it out of phase 3 trials. Many drug researchers have now abandoned the theory of amyloid plaque accumulation in the brain as the causative factor of Alzheimer’s. 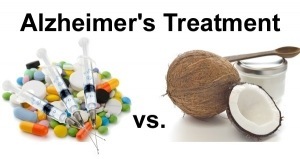 Could aducanumab's failure be the last nail in the coffin for this theory, as natural approaches to Alzheimer's such as coconut oil and the ketogenic diet see more positive results? A new study out of Japan and published in the European Journal of Allergy and Clinical Immunology shows how switching the dietary oil of chow fed to mice from soybean oil to coconut oil reduced skin inflammation. The skin healing properties of coconut oil, especially virgin coconut oil, applied topically to the skin have been known for a long time. 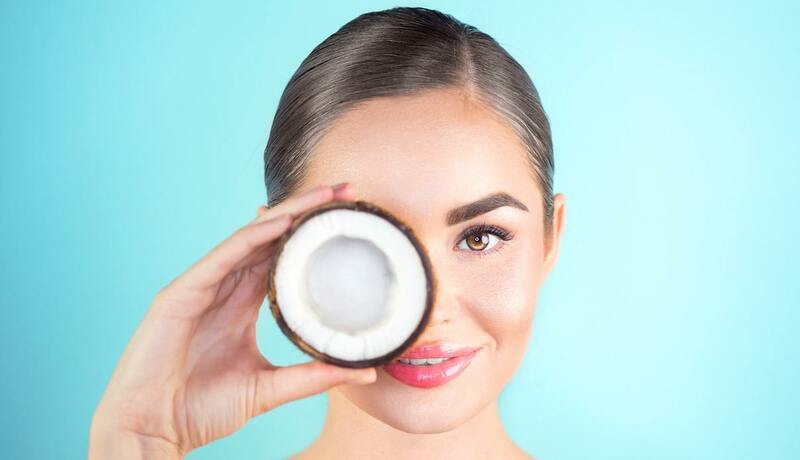 Even though coconut oil is sold as a dietary oil, people applying it topically are seeing tremendous results for their skin conditions such as acne, eczema, keratosis polaris, psoriasis, rosacea, and fungal infections. We have suspected for years that the reason people in tropical climates who eat their traditional diets which are high in the saturated fats of coconut oil had such beautiful skin, even though they are exposed to the sun to a greater degree than westerners, is because of the high amounts of coconut oil in their diet, which does not oxidize and cause free radical damage as polyunsaturated fats do. Skin cancer, for example, is almost unheard of in tropical climates like the Philippines, but common in western nations, even in colder climates with far less exposure to the sun. 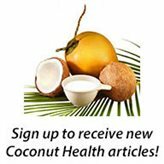 Researchers in Japan apparently wanted to test this theory of dietary coconut oil reducing allergic skin inflammation in the laboratory: "Coconut oil is used as a dietary oil worldwide, and its healthy effects are recognized by the fact that coconut oil is easy to digest, helps in weight management, increases healthy cholesterol and provides instant energy. 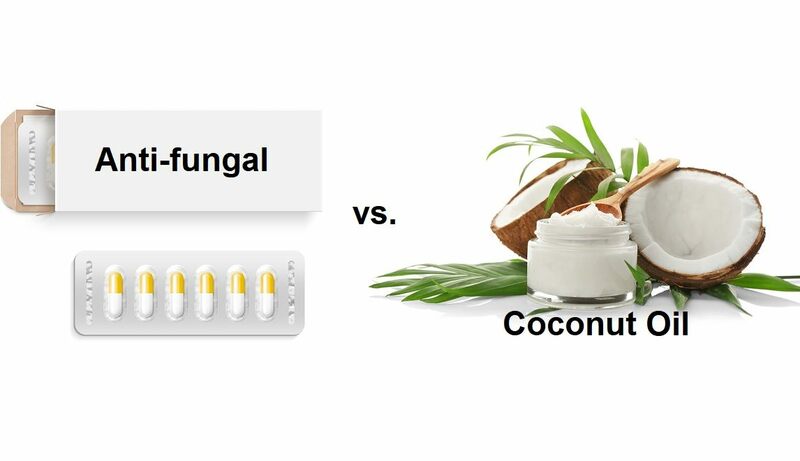 Although topical application of coconut oil is known to reduce skin infection and inflammation, whether dietary coconut oil has any role in decreasing skin inflammation is unknown. 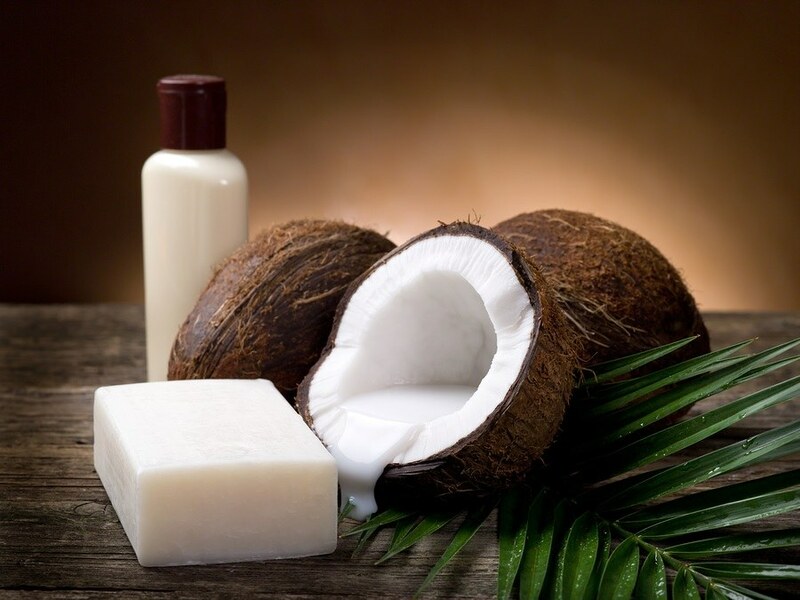 In this study, we showed the impact of dietary coconut oil in allergic skin inflammation by using a mouse model of contact hypersensitivity (CHS)." There’s a media war going on in the UK involving the issue of cholesterol-lowering statin drugs. The British Daily Mail's health editor, Barney Calman, labeled two medical doctors and a PhD nutritionist as "statin deniers" for their efforts in educating the public and debunking the cholesterol-heart disease causation dogma while exposing statin drug dangers. 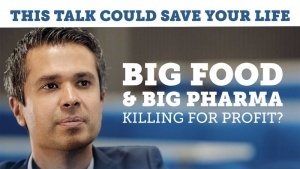 The two doctors are Dr. Malcolm Kendrick and Dr. Aseem Malhotra. The nutritionist is Zoe Harcombe, PhD. The Daily Mail article is blaming their "propaganda" as convincing people to stop taking cholesterol-lowering drugs which they claim are leading more people to suffer heart attacks as a result. Since this is another example of corporate-sponsored "mainstream" media presenting only the pharmaceutical position on their own products and seeking to censor anyone who opposes them, we are publishing the responses from those accused of murder for exposing the dangers of statin drugs, as well as questioning the "science" used for the most widely prescribed class of drugs in the world. Many who have used coconut oil for their skin and hair rave about its positive effects. Many testimonials to the powerful healing properties of virgin coconut oil for skin conditions have been published here at CoconutOil.com over the years. People have testified to virgin coconut oil healing fungal skin infections, acne, eczema, keratosis polaris, psoriasis, rosacea, and more. But exactly how virgin coconut oil is so beneficial for applying on one's skin has rarely, if ever, been thoroughly analyzed on a chemical and cellular level. That’s no longer the case, as a new study has recently determined what goes on biochemically within the skin’s cellular and genetic composition when using virgin coconut oil on one’s skin. This report, In vitro anti-inflammatory and skin protective properties of Virgin coconut oil, was published by the Journal of Traditional and Complementary Medicine in January, 2019. Cholesterol-lowering statin drugs are a $100 billion-a-year industry. 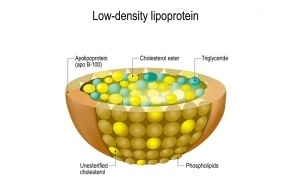 Lipitor was, by far, the most profitable drug in the history of mankind among all pharmaceutical products, let alone being the most profitable cholesterol drug before its patent expired at the end of 2011. Sales to date from this one particular cholesterol-lowering statin drug have exceeded $140 billion. After Lipitor’s patent expired at the end of 2011, the FDA issued its first warnings against statin drugs, which include: liver injury, memory loss, diabetes, and muscle damage, among others. 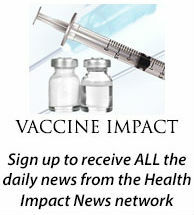 Thousands of lawsuits against the maker of Lipitor followed. 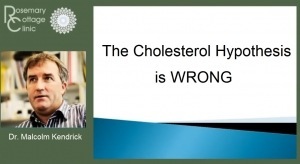 As we have reported many times over the years here at Health Impact News, the cholesterol theory of heart disease is not well-supported by science at all. In fact, much of the science states that cholesterol is an important part of our health, and contrary to popular belief, those with the highest levels of cholesterol actually live longer than those with lower levels of cholesterol in their blood. However, with such a large segment of the American population moving into their senior years, the pharmaceutical industry's attempt to keep seniors on cholesterol-lowering statin drugs continues unabated, and the largely pharma-funded corporate media is doing their part to silence doctors and other researchers who criticize the failed cholesterol theory of heart disease. Dr. Malcolm Kendrick, a Scottish doctor and the author of the book The Great Cholesterol Con, has had his entire Wikipedia entry deleted recently in an obvious attempt to silence him as a new study was just published to try and justify putting more seniors on statin drugs. Here are his comments on this "new" study. A recent study published late 2018 confirms an earlier Health Impact News article that macular degeneration, a disease mainstream medicine considers irreversible, can be prevented, attenuated, and even reversed naturally. The natural ingredient this study tested was coconut oil. This study was conducted by Nigeria’s University of Ilorin’s Department of Physiology. 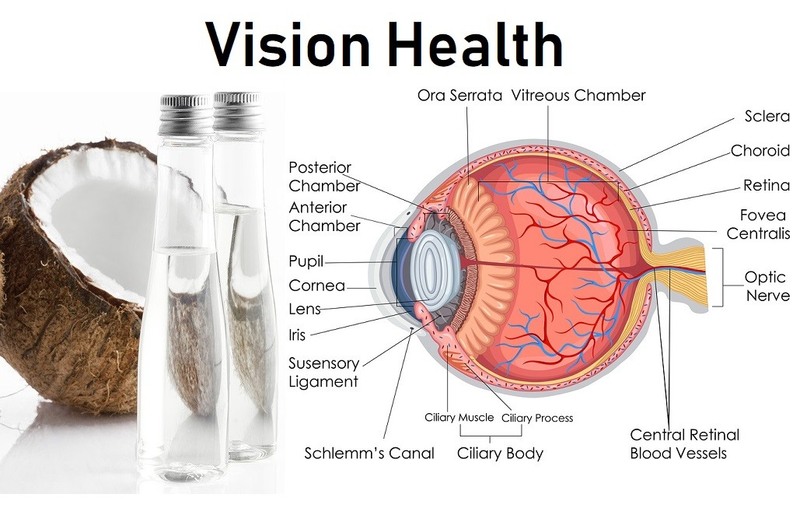 The final report, titled "Coconut oil protects against light-induced retina degeneration in male Wistar rats" was published by the journal Pathophysiology. In parts of Asia, both peanut oil and coconut oil are often used for cooking. 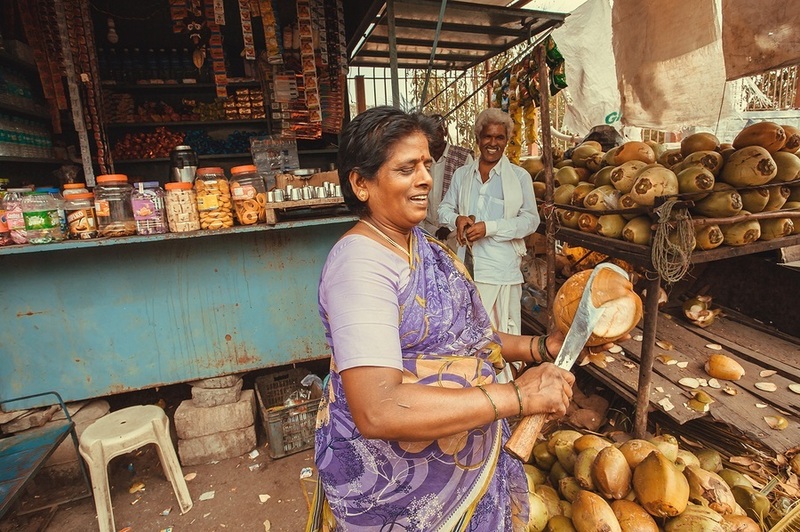 A recent study in India compared cooking with peanut oil to cooking with coconut oil to determine the relative health benefits for weight management, heart disease, and diabetes. The researchers used nine healthy male volunteers with normal body mass index or BMI levels to undergo eight weeks of consuming a normally balanced diet cooked with coconut oil, followed by a six-week "washout" period, then another eight weeks of the same diet cooked with peanut oil. The study report is called Coconut oil consumption improves fat-free mass, plasma HDL-cholesterol and insulin sensitivity in healthy men with normal BMI compared to peanut oil. The researchers concluded: "… compared to peanut oil, the consumption of coconut oil in a balanced diet resulted in increased fat-free mass, plasma HDL-C, elicited favourable changes on insulin sensitivity and CVD risk-associated parameters in healthy men with normal BMI."